Three New Swift Books: Preorders Now Available! Three new Swift Books are now available to preorder: Swift by Tutorials, iOS 8 by Tutorials, and Core Data by Tutorials! With the introduction of the Swift language and iOS 8, iOS development is going to change significantly over the coming months and years. And we’re fully committed to helping you make this transition! Ever since the WWDC keynote, we’ve been hard at work diving into Swift and getting tons of Swift resources ready for you. Swift by Tutorials: Learn Apple’s brand new programming language, Swift, the quick and easy way – via hands-on tutorials! 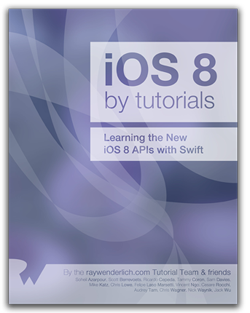 iOS 8 by Tutorials: Learn about the new APIs in iOS 8 such as Adaptive UI, App Extensions, and Cloud Kit. Hit the ground running with all iOS 8 has to offer! 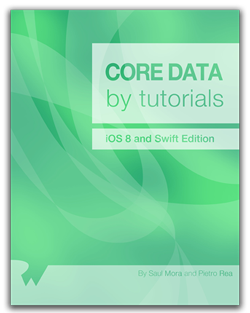 Core Data by Tutorials: Core Data is one of the most important APIs to master in iOS – so important it deserves its own book. Fully up-to-date for iOS 8 and Swift, it will show you how to take control of the data in your iOS apps! Keep reading to find out more about each book. Swift by Tutorials is intended to be a quick and practical introduction to the Swift language for developers who already know the basics of programming. This book follows the signature ‘By Tutorials’ approach of other books in this series. You will learn by gaining hands-on experience: writing code, and building apps. This book is packed full of practical advice and real world experience, from the authors of Essential Objective-C and the iOS by Tutorials series. You do not need any prior Objective-C or iOS experience for this book, but if you do we’ll make the transition even easier for you by drawing some parallels to what you already know. 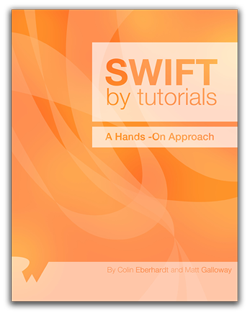 Once you’re done reading this book, you’ll be a Swift master and ready to create your own Swift apps! Welcome back to the fourth book in our popular iOS by Tutorials series! In iOS 8 by Tutorials, you will learn about all of the new APIs introduced in iOS 8, from Adaptive UI to App Extensions to Cloud Kit via hands-on tutorials. This book is for intermediate to advanced iOS developers who already know the basics of iOS development. All examples in this book will be in Swift, so you should read Swift by Tutorials first (or have equivalent knowledge). Adaptive UI: Learn how to make your apps adapt to different screen sizes with Unified Storyboards, Size Classes, Traits, and more. Presentation Controllers, Transition Coordinators, and UISplitViewController Changes: Learn how to present and animate your view controllers on multiple devices, using the same code. App Extensions: Learn how to make extensions of all types: from Today to Share to Action to Photo Editing and more. Cloud Kit: Learn how to store your app’s data between multiple users with the new and powerful Cloud Kit framework. Xcode 6 in Depth: Learn about new features in Xcode 6 like Playgrounds, View Debugging, and more. TestFlight Integration: Learn how to beta test your app using the brand new TestFlight integration in Xcode. Localization: Learn about the new localization workflow in Xcode 6. Custom Controls in Interface Builder: Learn how to expose and configure your custom controls in Interface Builder. Handoff: Learn how to pass the user’s current work between devices. 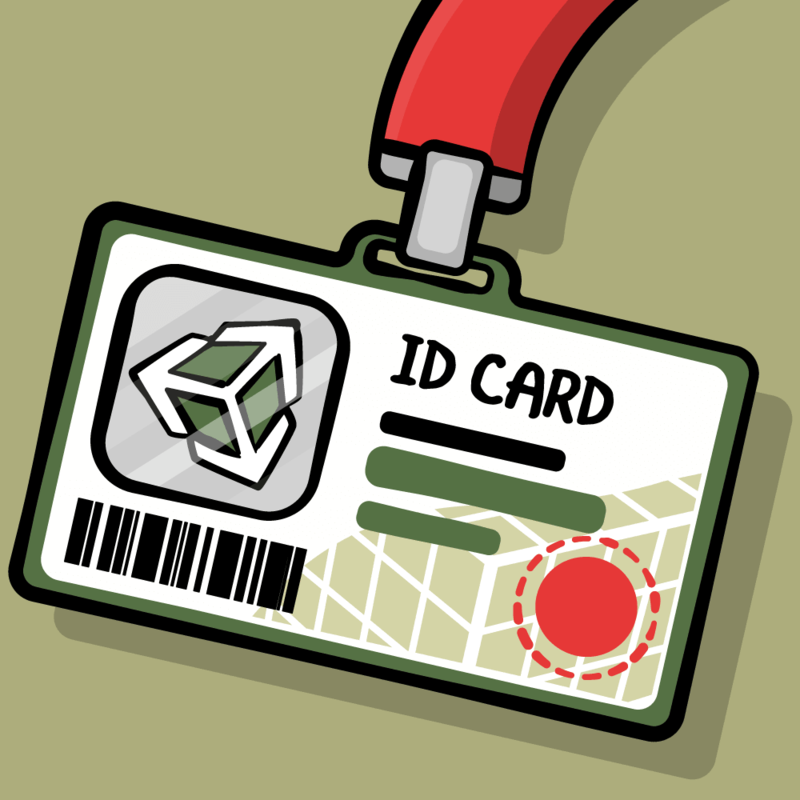 Touch ID Authentication: Learn how to authenticate your user via Touch ID in your apps. Scene Kit: Learn the basics of using Scene Kit from an app developer’s perspective. Visual Effect (Blur) View and Vibrant Text: Learn how to easily add blur effects and vibrant text into your apps. And much more…: From UIKit improvements to photo improvements to the Modern WebKit framework, there are many more goodies in store for you! iOS 8 by Tutorials is the quickest and easiest way to upgrade your iOS development skills to iOS 8. We can’t wait to take a tour of iOS 8 with you! Core Data is one of the most important APIs to master in iOS development – but also has one of the largest learning curves! Don’t worry, we’ve got you covered. This book will take you all the way from beginning concepts all the way to advanced real-world issues, guiding you every step along the way. This book is packed full of practical advice and real world experience, from the developers of MagicalRecord, NSBrief, and the iOS by Tutorials series. And best of all – this book is fully up-to-date for iOS 8 and Swift! The Core Data Stack: Learn about all of the components of the Core Data stack: NSManagedObjectModel, NSPersistentStoreCoordinator, and NSManagedObjectContext. The Core Data Model Editor: Learn how to create Core Data models using the editor, including types, relationships, fetched properties, and data validation. Fetching, Updating, Saving, and Deleting: Learn how to fetch, update, save, and delete data using NSFetchRequest, NSSortDescriptor, faulting, and uniquing. NSFetchedResultsController: Learn how to use NSFetchedResultsController to easily display your data in table views, collection views, and more. Multithreading: Learn how to use Core Data in a multithreaded app, including using parent-child NSManagedObjects and using different Core Data concurrency types. Synchronizing with a web services: Learn how to use Core Data to synchronize with a web service, using Parse and AFNetworking. Core Data and iCloud: Learn how to store your app’s data in the cloud with Core Data and iCloud integration. MagicalRecord: Learn how to use MagicalRecord to simplify your Core Data code. Versioning & Migration: Learn how to upgrade and change your Core Data model over time with lightweight and heavyweight migrations. Persistent Store Configurations: Learn how to create multiple persistent stores, including creating your own NSIncrementalStore. Core Data Performance: Learn how to improve the performance of your Core Data apps and manage the tradeoffs of speed versus memory consumption. Core Data and Unit Tests: Learn how to effectively test your Core Data apps with XCUnit. This book is the best way to take your Core Data knowledge from beginning to advanced, fully up-to-date with the latest version of iOS, Xcode, and Swift. 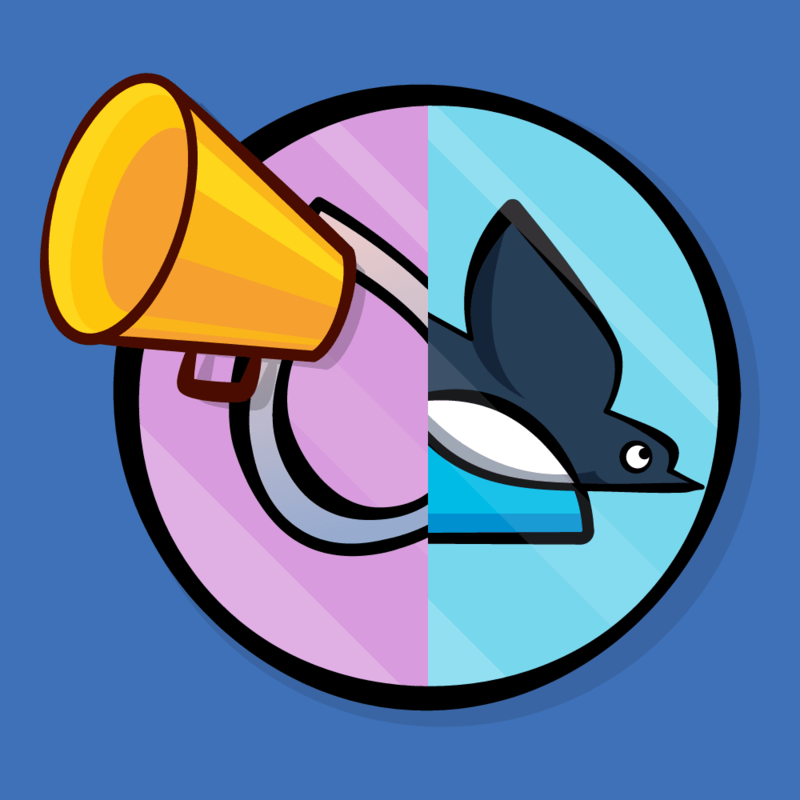 As we mentioned earlier, iOS Games by Tutorials will be updated for Swift as a free update for existing customers. 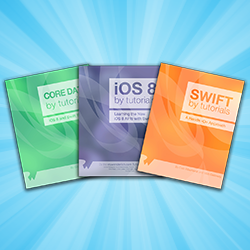 Three Brand New Swift and iOS 8 Books: Preorders Now Available! We’re very happy to announce that you can preorder these new Swift Books today! You can either preorder the books individually from the raywenderlich.com store, or you can save over $10 by buying the bundle of the three new Swift books. We hope to release the books soon after iOS 8 is released. By preordering the books, you will receive the books the minute they become available, and become one of the first to use these techniques (and our sample project code) in your own apps. We hope you are as excited about these Swift books as we are – we really think you are going to love these, we’re putting a lot of heart and soul into them. Get these books as soon as possible – preorder now!